Park at the Bedford Elks Country Club and take the short shuttle to the resort or walk the Heritage Trail to the Mill (1.1 mi.) Shuttles begin at 5:30pm. Gates open at 6pm. “We could not be more excited to welcome Byrne & Kelly to Bedford,” said Chamber Foundation Executive Kellie Goodman Shaffer. Their music appeals to all generations and our community is in for a wonderful treat; but we also expect guests from throughout the state to take advantage of this unique opportunity. The event, sponsored by Homewood at Spring House Estates and H&H Sheet Metal, and is presented by the Bedford County Chamber of Commerce in partnership with PA Consort and hosted by the historic Omni Bedford Springs Resort. Proceeds benefit the Bedford County Chamber Foundation, which provides unique educational opportunities to students and adults of the Bedford County region, including: Leadership Bedford County, Youth Leadership development programs, literacy and entrepreneurship initiatives,career exploration and workforce development programs and more. Click Here to Register/Purchase Tickets. 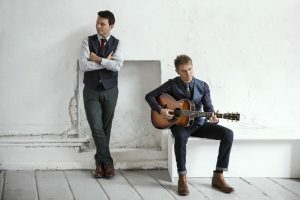 About Byrne & Kelly: What began as Celtic Thunder’s Neil Byrne and Ryan Kelly performing a series of shows together called ‘Acoustic By Candlelight’ back in 2012 has turned into what is now known as Byrne and Kelly. Driven by dynamic vocal harmonies, the duo seamlessly dives into combining genres like traditional Irish and Americana to create a fresh, Celtic folk sound. Byrne and Kelly’s latest release, Echoes, is a collection of nine original tracks and the well known Irish classic ‘Step It Out Mary’. During a remote weekend writing retreat in County Cavan, Ireland with fellow musicians Nicole Hudson and Peter Sheridan, the seed for the Echoes album was planted. Just over a year later, the result is a 10 track album featuring songs that highlight their rich, Irish culture and experiences traveling the world playing music. Echoes received immediate chart success following its release in February of 2016 and hit the #1 spot on the iTunes World Music chart, Billboard Top 5 World Album, #1 Amazon Traditional Folk and #1 Amazon Traditional British & Folk charts, Amazon Top 100 Album, and Google Play Top World Album. The documentary film Echoes, the Story, was recently recognized as ‘Best Music Documentary’ and ‘Best Original Soundtrack’ at the World Music and Independent Film Festival. 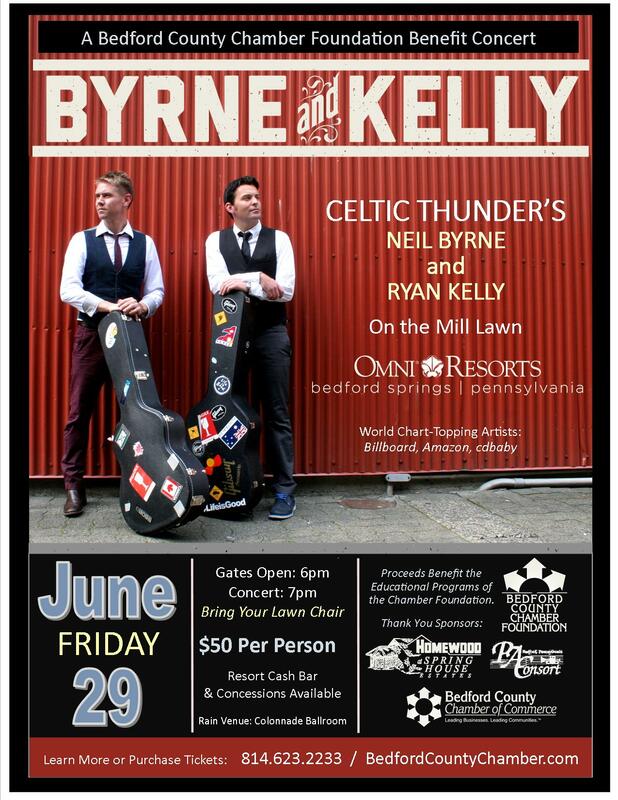 Ryan Kelly and Neil Byrne recently completed shooting of the Celtic Thunder tenth-anniversary special, which will air on PBS stations in March.